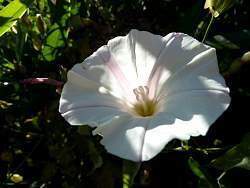 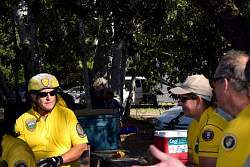 Thanks to Steve, Claudia, Xandei and Rick for sharing their photos. 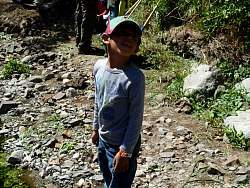 Read the summary of the weekend activities in CORBA's blog. 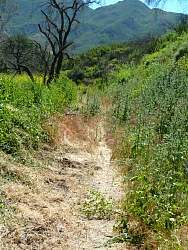 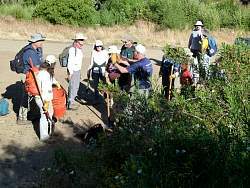 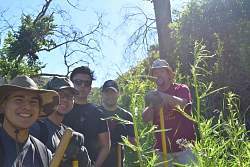 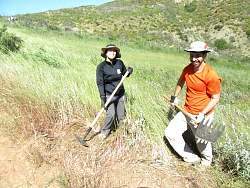 Saturday, CORBA volunteers and few others install drains and repair ruts on the Wood Canyon Vista Trail, a segment of the backbone trail. 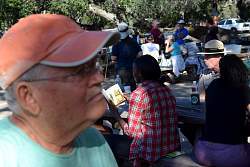 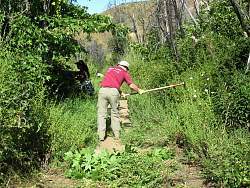 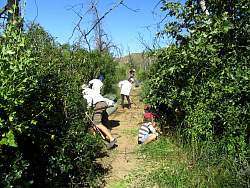 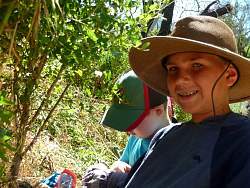 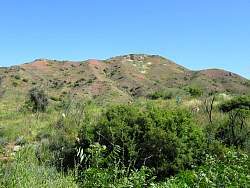 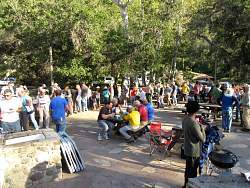 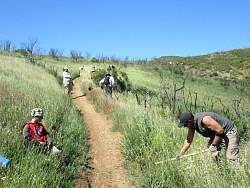 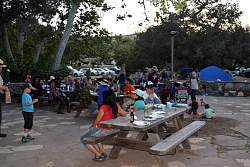 Saturday trail restoration in Blue Canyon for youngsters. 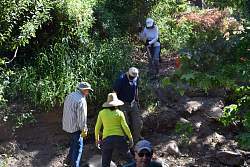 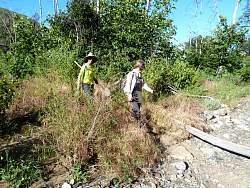 Saturday restoration on the Upper Sycamore Trail. 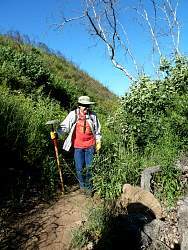 Saturday morning, working on the Upper Sycamore Trail. 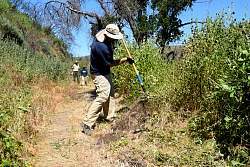 Sunday morning, clearing brush from the Upper Sycamore Trail. 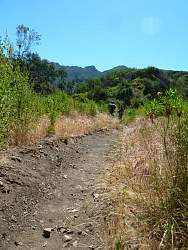 After about a half hour of cutting brush, the trail is in much better shape! 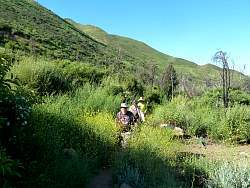 It used to be almost completely closed in here. 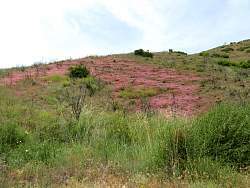 Pink flowers cover the hillside! 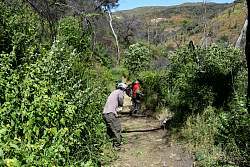 Sunday morning, clearing brush from the Upper Sycamore Trail. 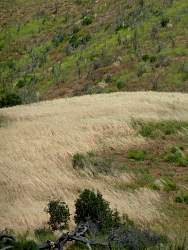 The hills are carpetted with pink flowers as riders climb the paved hill that leads out of the park. 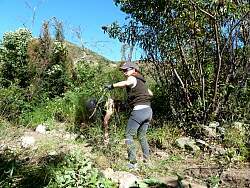 Sunday morning, clearing brush from the Upper Sycamore Trail. 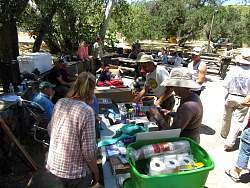 Saturday afternoon, Danielson group campground. 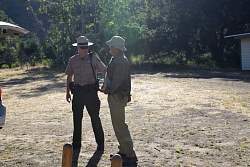 Saturday morning at the Danielson group camp.